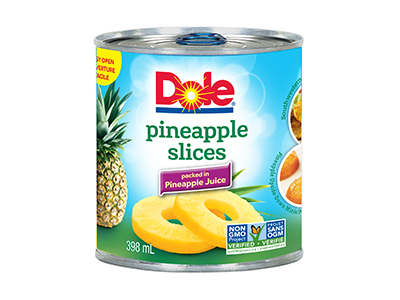 DOLE® Canned Pineapple is a convenient, ready-to-eat product. 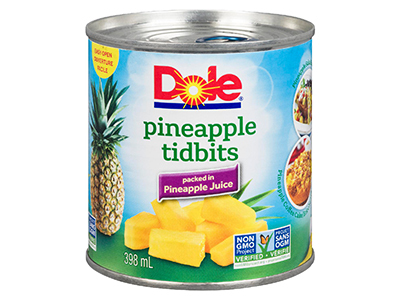 For your convenience, DOLE Canned Pineapple in Pineapple Juice is available in slices, tidbits, chunks and crushed. Canned pineapple, with its sweet tangy flavour, is a great compliment to all types of dishes including appetizers, main dishes, salads, side dishes, beverages and desserts. Here are some quick and easy serving ideas for canned pineapple. 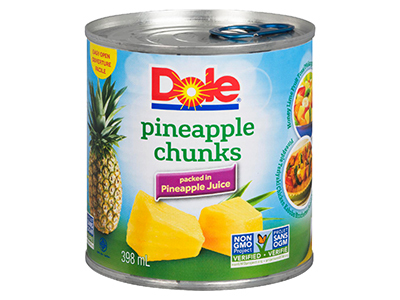 DOLE Pineapple Chunks are great with chicken or pork stir-fries, rice dishes, fruit or green salads and as topping over desserts. Store unopened canned pineapple in a cool, dry place. 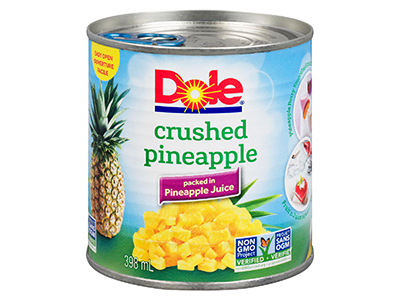 If you prefer a chilled fruit snack, keep an unopened can of DOLE Pineapple in your refrigerator. 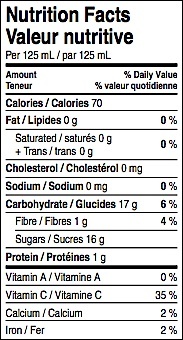 After opening, store unused pineapple in a glass or plastic container in the refrigerator.